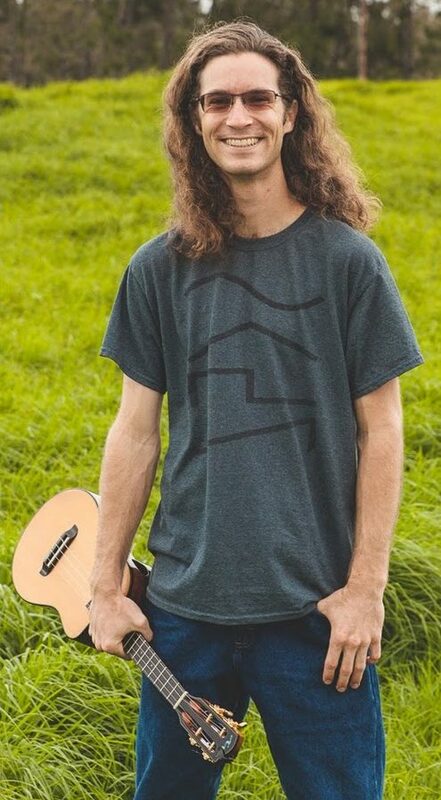 Brad Bordessa has been with the Hawai’i Island ‘Ukulele Retreat from the beginning, and there’s a very good reason we keep inviting him back. He is, quite simply, one of the best instructors we’ve ever worked with. Brad was bur bergeoning teeenager when I first met him back in 2007, but even then he showed amazing promise and had a passion for music that went well beyond wanting to “wow” everyone with youthful skill and speed. He was hungry to learn and eager to share what he was learning with everyone else, but he did it in the same unassuming and generous manner he exhibits today. Brad, who now lives in Honoka’a, just over the hill from Hawi, has been mentored by the best: Chuck Moore, George Kahumoku, Herb Ohta, Jr., and James Hill. And while he is an amazing performer and a thoughtful and talented songwriter, he also excels at sharing with his students all he has learned over the years from the masters in an easy-going, informative manner that “adult learners” can comprehend. This year Brad will be taking on our most advanced students. level 4, students and also conducting an ‘ukulele/perussion ensemble of “Kawika.” We can also expect some definitive insight on ‘Ukulele Chord Shapes, since Brad just wrote the book, while also learning how to play using our ears and not our eyes and how to strum and pick to deliver a cleaner sound. If there’s interest, Brad can also help students tab out some of our favorite tunes, so they can create their own fancy shmancy arrangements with chord substitutions, chord melodies, and a little finger picking thrown in. Brad is always on the look-out for things he thinks we need to learn and ways to teach complex concepts in an understandable fashion. And that’s another reason why we will keep asking him back. Fred Sokolow is the author of nearly two hundred instruction books and videos for guitar, ukulele, banjo, Dobro, mandolin, lap steel, and ukulele (including the best-selling Fretboard Roadmaps) that are sold all over the world. He has, over the years, also been the leader of numerous bluegrass, jazz, and rock bands and has been the sideman for music luminaries such as Bobbie Gentry, Jim Stafford, Tom Paxton, Jody Stecher, The Limeliters, and Ian Whitcomb. Fred has played dobro for Chubby Checker and Jerry Garcia, mandolin for Rick James, lap steel in the Tonight Show Band, and banjo on the Gong Show! While his musical mastery knows no bounds, Fred’s teaching chops, in demand from California to London (and now, Hawai’i), are every bit as impressive. He is committed to his students’ success and is generous with his time and talent. Whether he’s playing ukulele instrumentals, Delta bottleneck blues, bluegrass or old-time banjo, 30’s swing guitar or screaming rock solos, Fred Sokolow does it with authenticity and passion. Fred will be bringing some brand new workshops to Hawi including Five-Day Blues and a number of Soloing tricks, along with slide ukulele and a library of sometimes forgotten tunes from Tin Pan Alley, with Hawaiian themes. An accomplished musician and dancer (and adored by her students), Robyn Kneubuhl has an Hawaiian musical lineage that goes back generations. Her mother, Emma Veary, was a headliner at the Monarch Room of the Royal Hawaiian Hotel, the Halekulani, the Hilton Hawaiian Village, and frequent a frequent guest star on the original “Hawai`i Five-O.” Her mother’s musical gifts were not wasted on Robyn, who embodies the beauty of the golden days of Waikiki through her music and dance. Robyn is a life-long stu dent of Hawaiian arts and culture, a composer, hula and `ukulele instructor, and is generous with her time and talent, and eager to share her knowledge with her students. She currently resides on Maui and is one half of the “Hula Honeys,” who have three popular CD’s out: Life Just Got Sweeter, Girl Talk, and A Hui Hou. 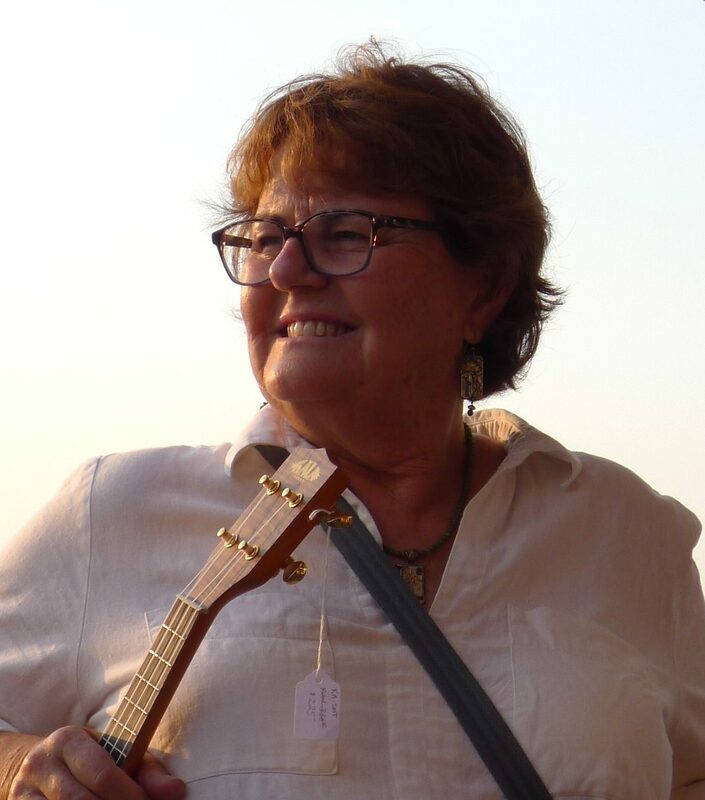 Robyn has taught hula and `ukulele for Lark Camp and Keola Beamer’s Aloha Music Camps and has joined us several times at the Wine Country ‘Ukulele Festival and at the Hawai’i Island Ukulele Retreat for three years, where her genuine aloha won all of our hearts. Kaliko Beamer Trapp is renowned for taking faltering, struggling ‘ukulele beginners, with six thumbs on each hand, to the point where they can change chords, strum, and sing . . . . .all at the same time! Consequently, he was a natural choice to teach beginning ‘ukulele at the Hawai’i Island ‘Ukulele Retreat. . . . . .and we are beyond delighted to have him come back this year. But, teaching ‘ukulele is just the tip of Kaliko’s iceberg. He is the hānai (adopted) son of the late Aunty Nona Beamer, and brother to famed Hawaiian slack key guitarist, Keola Beamer. 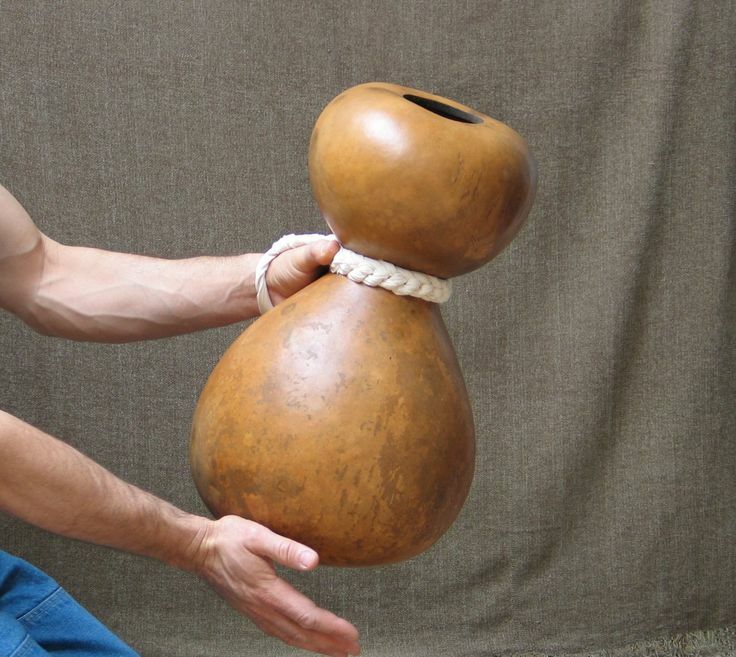 He is an avid student of Polynesian culture and language and a lecturer in Hawaiian Language at the University of Hawai’i at Hilo, all of which creates an opportunity for us to gain a deeper understanding of local music, culture, history, language, and tradition. 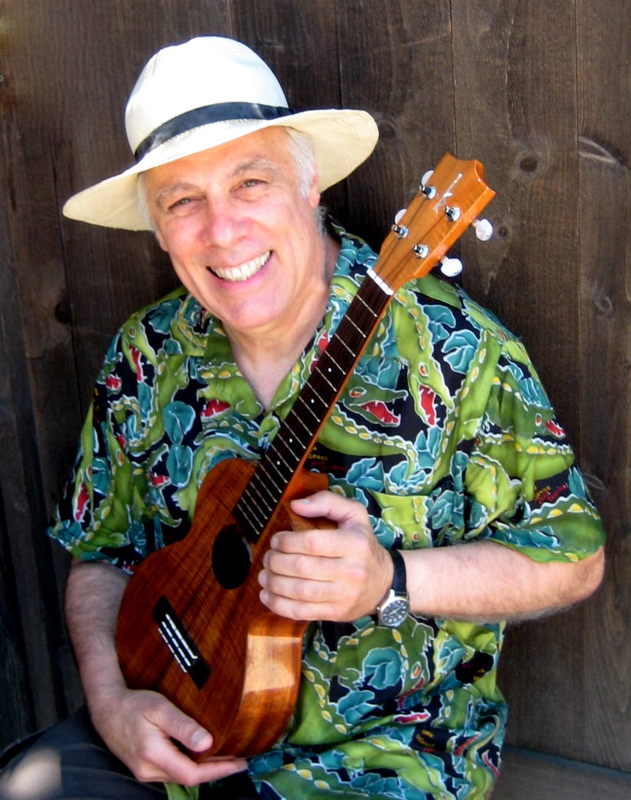 In addition to beginning ‘ukulele, Kaliko will be offering delightful storytelling sessions each day after lunch, Ha’i Mo’olelo, accompanied by a Hawaiian mele, or song. He will also be our personal guide for an optional visit to Pu’ukoholā Heiau, the temple built by King Kamahameha and dedicated to Kū, the Hawaiian war god. It’s a story no visitor to Hawai’i should miss. Lehua Wilson AhSam, has long been the “tock” to the “tick” of the Hawai’i Island ‘Ukulele Retreat: consistently sure and steady, operating quietly in the background, and absolutely indispensable to our success. 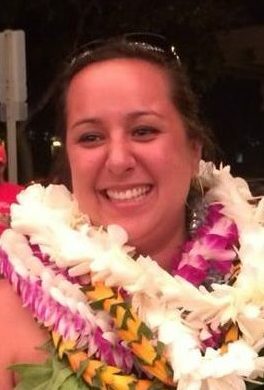 With a Bachelor’s Degree in Anthropology and a Master’s in Hawaiian Studies, Lehua is fluent in Hawaiian language, and teaches Hawaiian Studies for Hawaiian Community College. She is also trained in Hula and has performed at the Merrie Monarch Festival in Hilo. And to hear her sing is to take a journey back to the time of the Hawaiian monarchs. 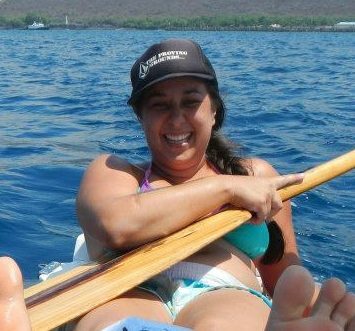 Lehua Ah Sam is also a crew member for Makali’i, Hawai’i Island’s own voyaging canoe. It is Lehua’s passion for Hawaiian culture and all things wa’a, that will inform and enhance all of our “extra-curricular” activities this year, especially our visit to the Maka o Hule Heiau. And it is her attention to every local detail that will ensure our success. Hey! That’s me! I’m the one who answers your emails, takes your money, pays the piper, and tries to keep everyone happy. Could anyone ask for a better life? I doubt it. I love hanging out with ‘ukulele players and seeing people smile, stepping out of their comfort zones, and realizing their potential. I will come to this year’s retreat with eight year’s experience organizing the Wine Country ‘Ukulele Festival; eight year’s organizing the West Coast ‘Ukulele Retreat; two years with the Semana de Uke-Culinary Fiesta and the domestic version, The New Uke-culinary Fiesta; the one and only Yankee Ukulele Invasion of Great Britain; four years of Camp Oo-Koo-Lay-Lay; and five prior years of the Hawai’i Island ‘Ukulele Retreat under my belt. But I don’t do it alone. I get a lot of support from the instructors and participants I’ve met along the way and seem to keep coming back for more. Oh, and I almost forgot: I also have a Master’s degree in animal behavior. . . . .always helpful when attempting to corral a bunch of itinerant ukulele players. . . . .and their instructors. That’s it for now, but it may not be all. So stay tuned, and don’t fret! There’s no doubt that we’re going to have a rollicking good time.